You are listening to Trinity Employment’s, a player matchmaker podcast starring your host and the cofounder of Trinity Employment Specialists, Cory Minter. Hi, welcome to the a player matchmaker podcast. We’re always looking to add value to job seekers and employers. That’s the whole purpose of this podcast. The title of this podcast is 10 impressive questions that you can ask during an interview. So if you are struggling in the interviewing process and this is a struggle for a lot of people, um, we want to be able to add some value to you and give you some important ideas to think about this. You can see all of this content on our website@trinityemployment.com. If you go to our career center and go all the way at the bottom, you can see our podcast where you can view all of our podcast, but you have a lot of other information that’s on our website as well. Staffing agency Tulsa, we think that this content specifically is really going to help some people to really think about why are you asking questions, what are you trying to accomplish? And we think that it’s going to help people in their interview to be more successful. Um, so we want to ask you to take a look at this podcast and share this podcast if this is helpful for you. So we want to get started on, on, uh, this topic and we always start with some general statistics about the topic. Ethan, what do you, what do you got forced man? Sure. You know, the, the, the asking questions part almost always comes at the end of an interview. You know, it’s Kinda like your, your, I don’t want to see your last ditch effort, but it really is kind of what ties up the interview well and, and tying up an interview is just as important, you know, tying it up. Well, it’s just as important as starting it. I mean, if you look at it, again, we’ve, we’ve gone over these stats before, but from careerbuilder.com they did a study and it says that 62% of employees are, uh, of employers, pardon me, are looking primarily for a candidates soft skills, the things that aren’t necessarily taught as much. Um, and a 93% of managers are saying that the soft skills are absolutely essential to all the jobs that they have. And so when you realize that only 2% of applicants are called in for a job, you really got to make the most of that interview. And, and when you realize that managers are putting such a heavy weight and emphasis on your soft skills, on you as a person and how you can interact with them in that interview, having really good questions at the end is a really great way to kind of bring them all home. And if you’re thinking, well, what do you mean by soft skills? Why, why would you categorize that in soft skills? This is why, because you either have an ability to express interest in a position or you’re not, you’re going to either have an ability to express, Staffing agency Tulsa, not just your interest, but also your knowledge in your ability to ask questions, um, and get, get the right information or you’re not. And it’s really important that you utilize this. This is a soft skills type of, uh, type of a skillset here. And I think it’s really important for you to put some attention to it. What are some of the things that people have said about about interviewing here, Ethan, you know, and we talk about it all the time, but you know, the interview process is so often you’re looking more at the person then you really are um, about what you know, what they can do. A lot of the time in those stats that we just said, emphasize that as well. Peter Schulz is quoted saying higher character and train skill. You have skills that can be trained but who you are and your character and how you can interact with someone, those often aren’t uh, aren’t really what are trained. Those are the things that are looking for when they hire some, but someone with high character Ethan, they, they are going to prepare you. You’re only going to rise to the level of your preparation in almost anything that you do and just just mean you today. You know, this is, this kind of leads us into the, the situation that we were talking about today. You know, your level of preparation it is, it is going to show, but we had an interview today, a group interview, um, that me and Ethan were both in on. And um, because of this position, it is really important to all of us that we get someone that one, I mean look, we can tolerate sure that we like that we want to be around us, it’s going to lift us all up. What are the top of team? I believe that all of us are in that position. You want to be elevated and I want to be elevated because this next person that we hire, we all want to be elevated and we want to hire somebody that’s really showing interest but the character is part of the preparation. That’s where, that’s where I see it at least. And listen, we asked the question, do you have any other questions and tell me, tell me what you heard Ethan. Staffing agency Tulsa, she kind of just kind of kept talking for a little bit and didn’t really have much of a question. She asked this one kind of kind of low ball question and then somehow we found out, we said we find ourselves sitting there talking about her previous job again and how she wasn’t happy where she was and she wants to go somewhere new. And we realized walking out though, she didn’t really pose much of a bunch of a question for us. She’s just kind of turned around and was kind of complaining about her current job again. Yeah. And so she took what was a really great opportunity to show us, at least for me, I wanted to see someone who had, that was going to ask questions that show general interest or a genuine interest in the position. Uh, that showed her curiosity about the position. And instead she took that opportunity. She was so bent on her last position that she just could not take the opportunity because it made her feel so much better to register. As we were talking about, you were saying it felt we walked out of there and none of us thought that she was interested in the job. She was just interested in how much she hated her current job and that was it. And we didn’t want to bring anyone on for that. You know, we don’t want to bring someone on just cause they’re, I don’t know. We’re looking for a job cause I hate where I’m at now. I like how can we be excited about hiring them if, if that little interest, the show it well and you know to go back to, to try to see it from their viewpoint right now they are in a really frustrating position and they’re, they’re very frustrated but you don’t want to have that leak in to, um, to marketing yourself. And so listen, we’re going to go over so that you don’t get caught into that trick. It’s not really a trick. It’s just, it’s not even a trap. It’s a self trap. We didn’t want that and I don’t know that they did either. But we’re going to go over some specific questions for you to be thinking about and I think it’s going to help a lot of people that are, they’re thinking about it. These questions each, you’re going to find a couple of things in each one of these questions. The first thing is you’re going to see that this person is asking question. This question is going to lead to the interviewer seeing a genuine interest or curiosity in learning more about the position. Now, that doesn’t necessarily have to mean that they’re interested in it, but they are least investigated. They’re seeking to understand. And when you ask questions, if you’re trying to figure it out, questions, if you are asking questions that really help you to understand things better, I believe that that is really going to help you in, in your process. So let’s go ahead and get started about this. We’re not talking too much about it. We’ve got some real meat for people. Um, the first question is, is how will you measure the success of the person in this position? 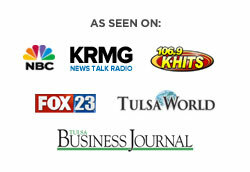 Staffing agency Tulsa, and that that particular question gives you one thing. It allows that person who’s getting information there. It’s allowing them to be able to determine and know what equals success and what equals failure. That line being drawn in that information being specific from the interviewer is going to help them to understand art to, for me to be successful, I’m going to need to be doing this. And if I can’t do this, I’m going to be fit. Uh, I will not succeed in this position. And Man, that is a great question. Do you have anything to say about that? That question is fantastic because a, it prepares you well for your job. It’s not just something that looks good in an interview that prepares you well for if you get this job. But as someone who does the interviewing, if someone were to ask me that question, it shows me that before they even know if they have the job, they want to know how they can be the best at that job. You have, you have employees that currently work that job that don’t worry about that question. And so someone coming in and interviewing and asking you that question and showing already I want to be the best that I can be about this job. I mean, of course that’s going to make the interviewee interviewer excited. Oh yeah. And the we were talking about earlier. Oh my gosh, that’d be great to have that question. And for us to be able to explain that it would have eras showed something different. Um, number two, what are some of the challenges you expect the person in this position to face? Um, and so that obviously is going to give the person asking that question. Um, a real reality check on what are some of the struggles of this position? Every position should, any good paying position should have some really great benefits to the position. And also some, some big struggle that you have to overcome. Oh yeah. Every job, every job in the world. You’ll have really great things he loved about it. And you’ll have things that you don’t love. I’ve said before that old saying, you know, find, you know, do what you love and you never work a day in your life. I think that’s super wrong because even if you’re doing something you love, you got to work and you’ve got to do things, even if it’s a huge passion of yours, there are days we have to work hard and do it. So no matter what position you do, don’t believe that old adage but, but know that there’s are things that’ll come. This question really helps very for the reality of that job and kind of gets Ya, you know, well acclimated to how to push through at least, you know, going in number three, can you describe a typical day or week in, in this job? Obviously you were asking, um, to seek to understand what is going to be going on here and it’s going to give you a lot of really great information. No one is going to be frustrated and explaining to you what a day is going to be like in this position. We’re not doing rocket science here with these questions. Um, but it’s giving you a lot of great information at which you can make a decision on. Yeah, I mean, unless you’re interviewing for a rocket scientist position, then you’ll probably have some rocket science questions. Throw it in there or just stick with that. It’s bad. Number four. Um, how long did the previous PR person in this role hold the position? What has the turnover in this role? Um, generally been like, and you are seeking to understand why people are staying, why people are leaving. Um, have they done anything to correct that? Um, you’re going to be able to see on the people on the manager’s faces, Staffing agency Tulsa, how they answer that. You’re going to want to pay attention to body language a lot more than you do. Um, really what, how you know, what they say I believe, but either way, I think that everyone is going to find that to be a very fair question and it’s, it’s a good question for an, a player to ask. Um, and so although that is probably the first question that we’ve gone into that, uh, brings some tension possibly to it, no. Um, I, I do think that it’s a very great, informative question for you to ask. Oh, sure. And if you sense tension in that, that they don’t want to talk about it, obviously they don’t push it. But when you got to realize what this question is that the managers are obviously trying to find something, um, that you know different about you than the last person because the last person is the one that obviously doesn’t have the job anymore. And so they want to fix that. There’s a great quote by Akio Morita that says, when I find an employee who turns out to be wrong for the job, I feel it is my fault because I made the decision to hire them. And so when you’re interviewing for this position, for any position, this question here that says, you know, how long did this last person last? And, and like what’s the turnover? Like you’re kind of jumping onto the same team as the employer because you don’t want to be a part of that anymore. You’re asking how you can fix that kind of how you can be a solution. You’re right. That’s a great point. Yeah. Well that, that wraps up the time that we have here. We’re going to put a together, a second, uh, portion of this, a part two to this, uh, to this topic and we will have the other six questions. I’m ready, ready to go here for you. So go and click on to the next podcast. That’s going to bring us into the next topic. We want to respect your time. Try to keep them down as close to 10 minutes as possible, Staffing agency Tulsa, to match your 10 to 15 minute drive time to work. So if trinity can help you in any way with your job search, please give us a call. We always want to be a great source of information to the people that we work with. You can visit us online@trinityemployment.com or you can just pick up the phone and call us nine one eight six two two, two five, eight, eight.